Stonebridge Manor has carried a reputation for being a prime wedding destination since 1998, offering two distinct but equally stunning wedding venues with three different service options. The first is the Garden Pavilion, a vast and white draped outdoor venue that can accommodate up to 350 guests who will be surrounded by the surrounding landscapes. Second, they have the Manor Courtyard that’s home to lush trees and a beautiful lawn that’s ideal for a more intimate gathering of up to 150 guests. These two exclusive indoor and outdoor wedding venues are both romantically decorated in their own special way, giving clients more options and allow them to get the wedding they envisioned for themselves. Whatever venue they choose, couples will find the surroundings of the Stonebridge Manor the perfect backdrop for them as they exchange marriage vows before friends and family. Stonebridge Manor’s Offices are open from Tuesdays to Saturdays. Keep in mind that Stonebridge Manor has its own caterer, one that happens to be capable of catering to a wide variety of cuisine. They also have their own full liquor license, which means that all the alcohol during the event must come from them. Clients can book as far back as 18 months in advance. This advanced availability is thanks to the fact that Stonebridge has two venues available. However, keep in mind that these venues are quite popular during Saturday evenings, so you’ll have to book really early. On the other hand, if your wedding date is more flexible, you can choose to book your event in the morning or on a weekday evening. You’ll get discounts on these days too! Note: In some cases, there will be at most two events reserved in Stonebridge Manor at the same time. However, these venues are designed to be exclusive of one another so it would be as if they are the only ones there. 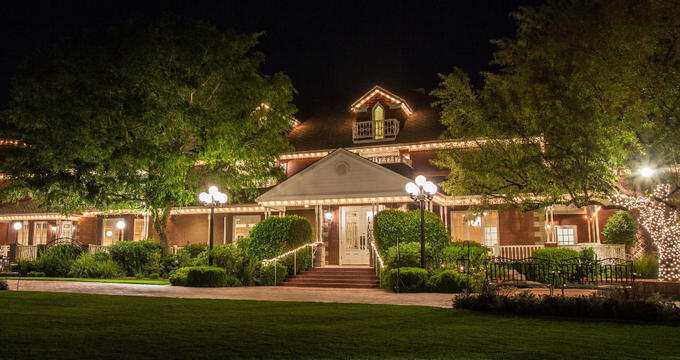 Although both venues are primarily outdoor venues, Stonebridge Manor offers tents for the reception and an indoor banquet room in case it rains. The indoor room also happens to be climate controlled for everyone’s comfort. Reserving a date requires the signing of a contract and the payment of the deposit. Keep in mind that such payments are non-refundable and are thus forfeited once cancelled at any time. For more information about prices and reservation, feel free to call Stonebridge Manor at (480) 641-3131 or visit their site online.